Will joy and happiness come from having a stable relationship or career? Sadhguru looks at how you being joyful is the most fundamental aspect and what you can do to take charge of it. Does Love, Money, and Family Create Happiness? Think about the happiest people you know and picture their faces in your mind. They’re probably smiling, laughing, or cheerfully greeting you. They always seem to be happy — no matter what happens! Were they born that way? Love, money, lots of friends, owning expensive items? Many studies have tried to pin down very specific factors that directly cause happiness. Not many of the studies are reliable mainly because we all value different things: some might say it is desirable to live in a big city, while others dream of living in the countryside. How do we create happiness from within? Sadhguru looks at the source of joy, and why it is the first and most fundamental responsibility of every human being to be joyful. Sadhguru: Happiness does not only come from achievement. When you were a child you were simply happy. That is your nature. If you go against your own nature to be happy, you will never get anywhere. To be happy is not the ultimate aspect of life. It is the fundamental aspect of life. If you are not happy, what else can you do with your life? Only if you are happy, can other great possibilities arise in your life. The first and most fundamental responsibility for a human being is to become a joyous being. It does not matter what you are pursuing in your life, whether it is business, power, education or service, you are doing so because somewhere deep inside you is a feeling that this will bring you happiness. Every single action that we perform on this planet springs from an aspiration to be happy because it is the original nature. Today we are seeking happiness so vigorously that the very life of the planet is being threatened. All those people, who depend on external situations to be happy, will never know true joy in their lives. The source of joy is within you; you can take charge of it. When you are fundamentally joyous, when you do not have to do anything to be happy, then every dimension of your life – the way you perceive and express yourself and the world – will change. You will no longer have vested interests because whether you do something or you do not do something, whether you get something or do not get something, whether something happens or does not happen, you will be joyous by your nature. When you are joyous by your nature, your actions will rise to a completely different level. 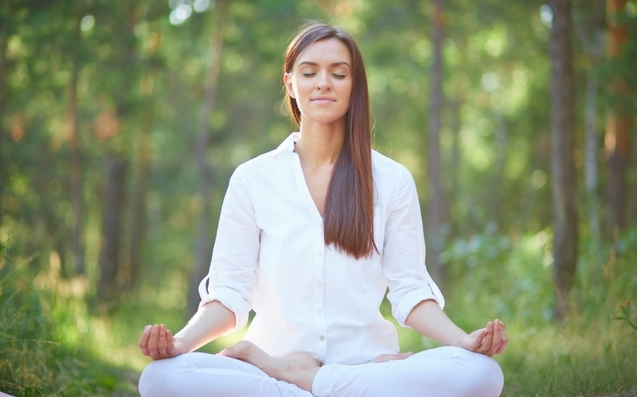 It is definitely time we look inward and see how to create personal wellbeing. From your own experience of life you can clearly see that true wellbeing will come to you only if your interiority changes. At present, the quality of your life is not determined by the clothes that you wear, the educational qualifications that you carry, the family background that you come from or the bank balances that you hold. Rather, the quality of your life depends upon how peaceful and joyous you are within yourself. Unless something of true value happens within you, you cannot do anything of tremendous value to the world. Whatever you do, it is only your inner quality that you are going to spread. Whether you like it or not, that is the reality. If you are concerned about the world, the first thing you must do is transform yourself into a joyous being. Pursuit of happiness and well-being is a certain exuberance of life energies. Depression means low life energies, Sadhguru explains, while happiness means exuberant life energies. We all experience happiness, but issues arise when people are unable to maintain their happiness. Finding happiness isn’t magic – it’s just chemistry! Sadhguru explains that the body is basically a chemical soup. Cooking up a happy soup rather than a lousy one means establishing a chemistry of blissfulness within, one which is not determined or disturbed by the outside situation. 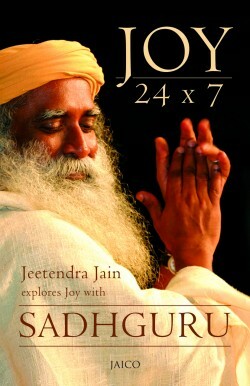 Through the 5 minute practice for joy, Sadhguru finds a way to make joy and happiness your constant companion. Sometimes all you need is to step back and get a little perspective. Inner Engineering empowers you with tools and methods to attain what you are aspiring for within yourself so you experience life at its peak. It helps you put your life on self-start so you become in-charge of your happiness, joy, and peace. Click here to learn more.